Andrew’s leadership role is to spearhead and manage FM Global’s underwriting, client service and client relationship efforts by working with clients to understand how they can remove uncertainty and make more informed decisions about risk. This includes the responsibility for setting strategy and providing direction to the operations underwriting and client service staff ensuring the delivery of insurance products and services. Andrew is the industry leader for the Mining and Power Generation industries. With over 20 years in Insurance, Andrew is responsible for ensuring the profit and growth of business written and serviced from FM Global’s operations in Australia and New Zealand. 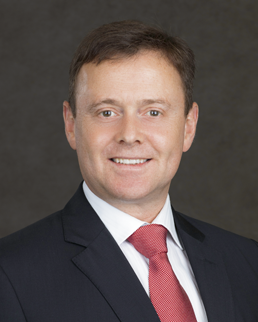 Prior to his appointment in 2011, Andrew has held various roles at FM Global within underwriting, engineering and training in Australia, UK and the United States. He is a qualified engineer and holds a bachelor of engineering degree in mechanical engineering as well as a diploma in business administration.